Venetian Glass Cube with purple and blue beads. Carnelian with grey, gold, and orange beads. Blue Topaz and Amethyst with beads. 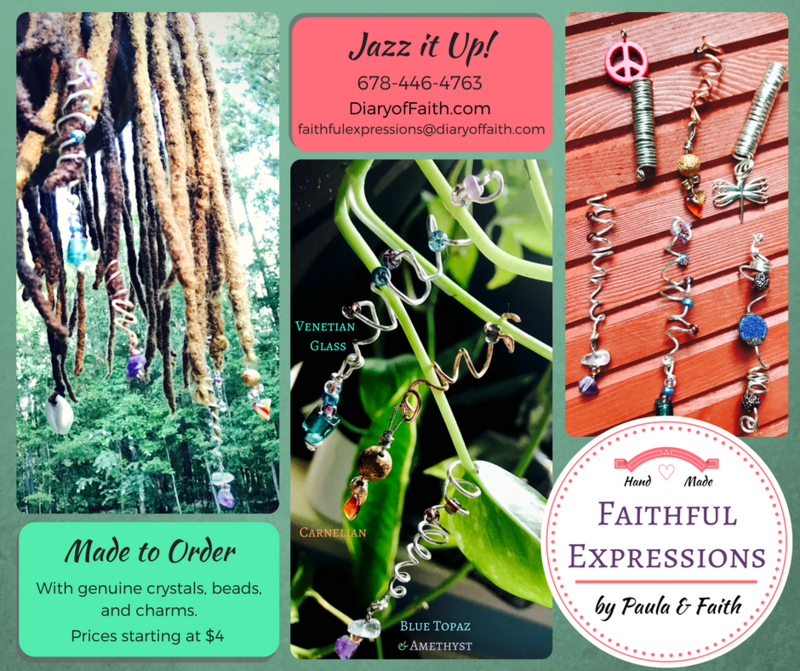 These lovely hair adornments are handmade by Faith and her mother, Paula. Adorn your locs, braids, and curls with your favorite beads, charms, or healing crystals. Each adjustable cuff or coil is made to order. Want a piece that is unique to you? Email us with your custom order! All items are handmade and may look slightly different than the adornments in the photo.